Online craft mall with over 100 highly recommended craft shops, scrapbooking websites and stamping websites. Visit the "The Best of The Best"! Country Folkart Marketplace - A country & primitive community for shopping and advertising. We feature a directory, ads, articles, and resources for crafters & shoppers too! 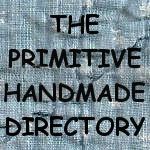 Primitive Times Magazine - Online craft and country and Primitive magazine.